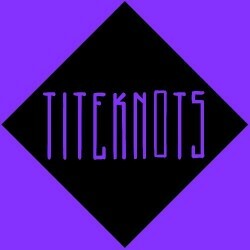 Titeknots is a young up and coming producer who recently released his first two tracks last month, has brought forth a wonderful mix for us on this Thursday morning. His first release showed his diversity in style, and this mix is no different. The mix is laden with killer festival tracks, with highs and lows that will play to your heartstrings. Drawing us in with this high energy, he then dives into some darker sounds, with the energy going up tenfold around the 38.10 mark. The artist may not be well known to the world quite yet, but he has steadily been gaining attention from huge names like Sinden, and Daedelus, received airtime on BBC Radio 1, and played massive sets at festivals such as Glastonbury. With that impressive of a CV already, it's no surprise he will be a name to keep an eye out for in the coming months.